Instructor User Guide LessonsWhat is the Lessons tool? Lessons is a tool that allows an instructor to organize resources, activities, and media on a single page. You can have as many Lessons pages in your site as needed. With Lessons, instructors can organize the course by unit, module, week, topic, or any other grouping that makes sense for the site. Each Lessons page can be customized to suit the needs of the lesson, including links to other site tools, conditional release of items and content, student content pages, LTI tools, and more. To access this tool, click on the Lessons page title in the Tool Menu of your site. The Lessons tool is often renamed to something else, and may appear multiple times in a given course. Click on the Lessons Page Title (e.g. Unit 1) in the Tool Menu to display the page. Example of a Lessons page. 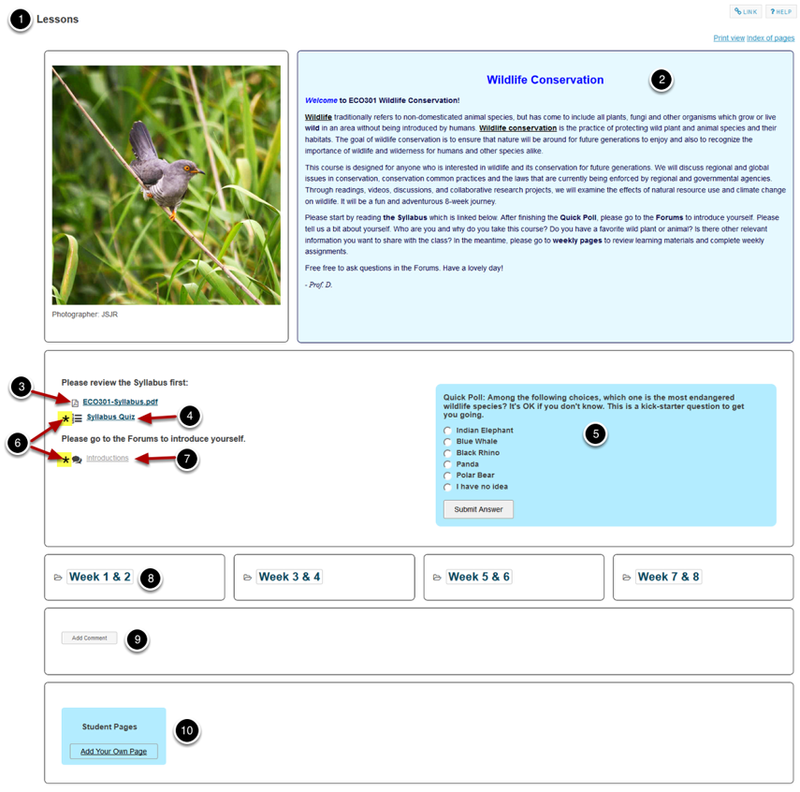 Zoom: Example of a Lessons page. Next: How do I create a new Lessons page?